Sorry for the bad audio and pixel qualities. I recorded this from my Android phone, which is the reason. I used it because it’s convenient for me! Subtitles may not work as efficiently, due to low audio quality. Thanks for watching, hope you enjoy! A few trains from the show last weekend. 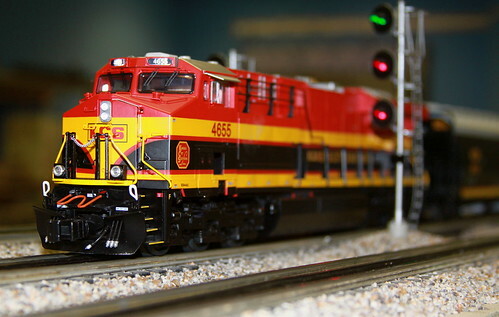 Here we see a freight train being led by a Lionel Chessie System EMD GP30. The cars are by Lionel and Atlas O. Later on, the train picked up 2 MTH flatcars with some brand new R36 Worlds Fair Subways! NTS&B Lionel Polar Express going up 4 level helix. 054 outside loope, 042 inside.